Charles Mayberry, L.Ac. has practiced acupuncture, sports medicine and Chinese Herbology for over twenty years. 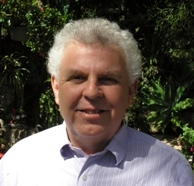 He is a co-founder of INNER BALANCE Health Center in Solana Beach, California. He has received further training in Cranial-Sacral Therapy, Orthopedics, Nutrition, Anti Aging, and Electrical Stimulation Therapies. He has taken many advanced classes from practitioners such as Keiko Matsumoto, L.Ac., Dr. Richard Tan, Matt Callison, and Dr. Tong style acupuncture. Charles specializes in pain relief and pain management therapies, sports injuries, hormone therapy for men and women, anti-aging, immune system dysfunction, allergy, stress, anxiety, depression and pre/post surgery. He is deeply appreciated by his many patients for his humor, kindness and successful treatment results. He has been a teaching tennis professional, and still actively engages in tennis and fitness.